Over the past few years, a host of regional airlines have set up their base in the South; TruJet, Air Asia, Air Pegasus, Air Costa are flying between several Tier-I and Tier-II cities in the region and now, with Air Carnival’s debut, on Monday, the skies have just got more crowded. As fliers find themselves spoilt for choice, airlines are looking at ways in which to position themselves distinctively while maintaining their promise on price and service quality. Air Carnival has drawn attention to its service by flying people for a rupee between Chennai and Coimbatore on its debut flight; prices will go up to Rs 999 and then gradually to over Rs 1,999. Customer experience will be the brand differentiator, the airline says. Air Asia is looking to ride the popularity of superstar Rajinikanth, hoping that its association with his upcoming Kabali will rub off on the brand and help build a relationship with local fliers. And TruJet, based out of Hyderabad and owned by actor-politician Chiranjeevi’s son, is offering free meals and free pick-up and drop service in select locations to draw in the crowds. Air Asia is an exception but most new entrants are still positioning their airlines around price and connectivity. This is a long way away from the manner in which Singapore Airlines built its brand around the Singapore Girl (its air hostesses) or Virgin around its founder Richard Branson. One reason, senior executives with these airlines point out, is that the region’s fliers are conservative in their tastes as are the companies floating the new airlines. They tend to shy away from high-pitched brand building efforts as these could backfire. Air Asia, that has faced a trying couple of years in global and Indian markets, however is not backing off from aggressive branding and positioning initiatives. Its founder Tony Fernandes has not hesitated from high profile brand associations and appearing on television shows to further the airline’s brand. With Kabali, the company spokesperson while speaking to the media, said that the airline is looking to associate with the biggest star Rajinikanth who does not directly endorse a brand. Could the airline’s boldness be a result of its non-resident South Indian status? It could be believe experts, since the traditional approach is tailoring the brand around the value proposition: cheap flights with efficient service. Hence curated meals on flights or special pick-up and drop options are popular brand building tactics among airlines in the region. “The key USPs of the brand (Air Carnival) would be that though it is an LCC carrier it will offer the full service including meal and infotainment,” says Manish Kumar Singh, chief executive officer, Air Carnival. The airline believes that the Southern market is waiting to be tapped and offering the best service at best prices will be enough to sway the consumer. Short-haul, regional airlines, according to a joint report by the Federation of Indian Chambers of Commerce and consultancy firm KPMG on the Indian aviation sector, have flourished more in South India since that is where the bulk of economic activity, tourism and white-collar migrant population is. 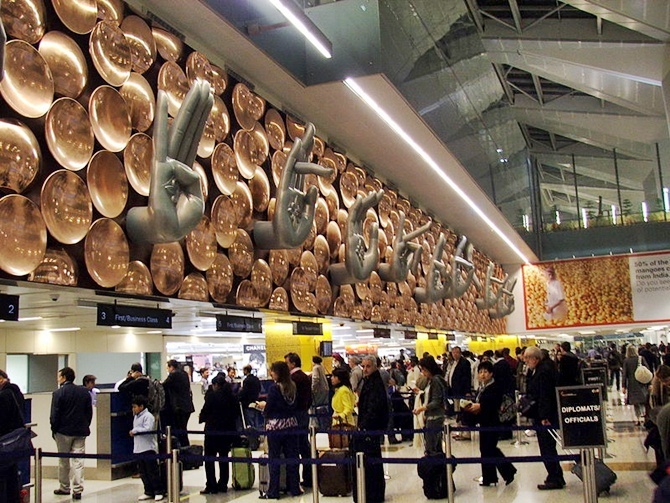 According to Centre for Asia Pacific Aviation, in 2015-16, airports in South India grew the fastest, clocking close to 20 per cent growth in domestic passengers. The market is waiting to be grabbed believes Singh but he agrees that the major challenge is maintaining standards while keeping the cost low. This is also the reason his airline does not see merit in going in for brand endorsers or movie-led campaigns for the time being. The airline is also hoping to benefit from the parent group’s deep ties with the region. Air Carnival has been set up by CMC (Coimbatore Marine College) which was established in 2002. S Irudaya Nathan, founder and director of CMC Group established Air Carnival Charter Services in New Delhi in 2013. The airline believes that being a local carrier and the fact that the city of origin, Coimbatore is an engineering hub will play in its favour. The airline is playing to its locational advantages as its décor and look and feel cater specifically to local tastes. The airline is targeting around 80-85 per cent load factor and its target customers include first-time travellers, businessmen, people who travel on holiday and leisure who are looking to connect with an international airline out of Chennai. The airline does not want to project itself as a mass market brand, nor does it wish to be known as a premium airline because, “One class cannot fetch business fully, we need to target all types of travellers,” said Singh. The promoters have infused around $12-15 million to acquire 3-5 aircraft. The airline will focus on short haul services with its ATR72-500. Singh is confident about Air Carnival’s rise in the region and believes that this is the best time to start flying as demand is on the rise and fuel prices, low.